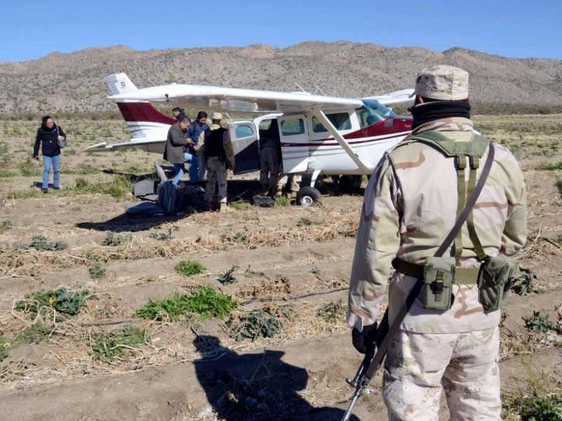 A light aircraft of the Cessna type was captured in the village of El Rosario, in the town of Ensenada, by the Mexican Army on the Tuesday the 4th of August. According to a communication from Sedena, together with the aircraft, used for smuggling drugs, they captured 227 kilos of Marijuana, 102.6 kilos of Methamphetamines, 16 kilos of Cocaine, 10 kilos of white Heroin, and 2 kilos of brown Heroin. 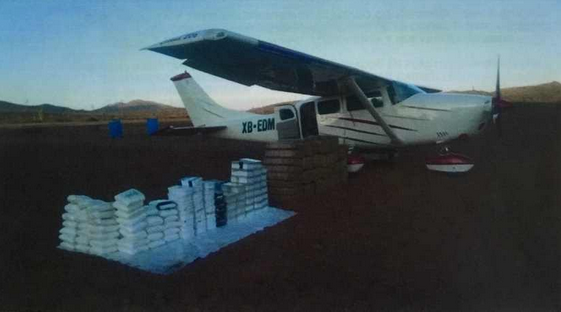 Together with the aircraft the drugs were put at the disposition of the Public Ministry of the Federation seconded to San Qunitin, Baja California. 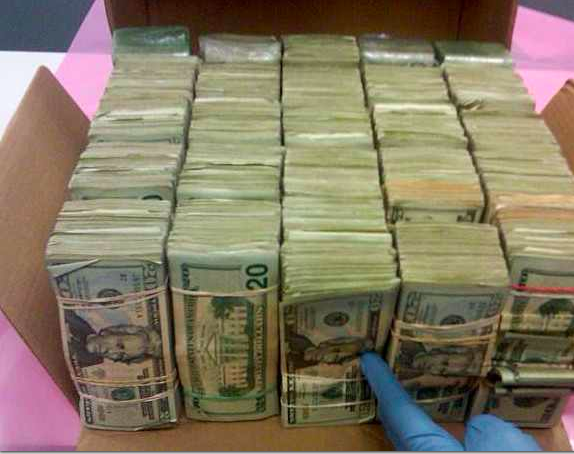 From the frontier between Tijuana - San Diego, operated an elaborate network of money laundering to buy aircraft in the United States and export them to Mexico and put them at the service of narco traffickers. In five years, they managed to launder 3.6 million dollars in 46 private bank accounts and business accounts on both sides of the border. The Federal Attorney of South California identified that this band are one of the principal suppliers of aircraft for the trafficking of drugs. Specifically Cessna aircraft models 206 and 210 are those preferred by the Cartels for drug trafficking in Mexico. 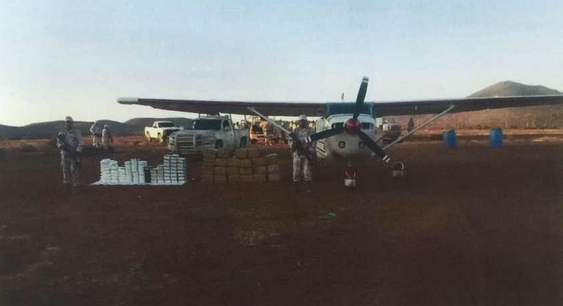 Even though the aircraft have been made and used since the decade of the 70's, they are reliable, fast, and especially good at transporting drugs long distances. 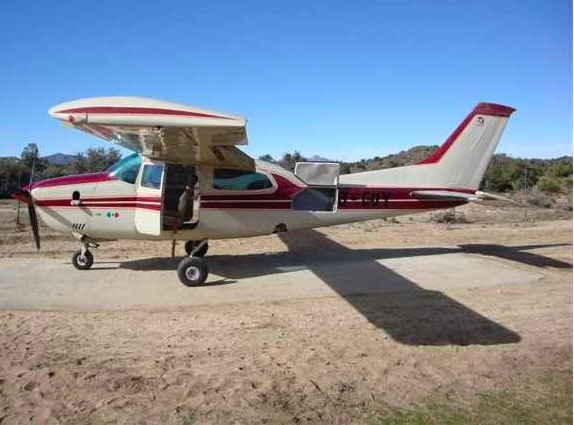 These qualities make them the most sought after aircraft for narco traffickers in Mexico. Vincente Contreras Amezquita was the man to get them. Under order, Contreras searched for the aircraft among businesses and private sellers. From California, he could travel to Arizona or Nevada to purchase these models of Cessna. Then he paid for the aircraft with money sent by drug cartels. He also bought accessories such as auxiliary fuel tanks, tyres and aircraft wheels capable of dealing with heavy loads, as well as equipment and heavy machinery to build clandestine airstrips. For the origin of the money, none of the bought planes and equipment was detected by the United States, he employed his family to launder the 3.6 million dollars in 46 different bank accounts. To export the aircraft to Mexico, legally, he utilized his two businesses. Aeroparts Baja in San Ysidro, California, and in Tijuana, Baja California, Vekke Corporation which he bought as a collapsed business. In this form, the importer of aircraft who is originally from Tijuana, bought 35 aircraft from sellers in the United States to introduce to Mexico to be used in the trafficking of drugs. The District Federal Prosecutor for South California, presented before the Court the case that involves Contreras Amezquita and 8 other people, accused primarily with the crime of conspiracy to launder money, and financial laws that obligated him to report transactions that account to more than $10,000. On the 30th of April, the same day that he received the case, the Judge Ruben B. Brooks ordered an arrest warrant for Contreras Amezquita, identified as the orchestrator of the financial structure. 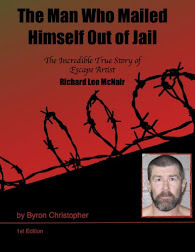 With a residence in Chula Vista, California, he was arrested on Thursday 16th of July and appeared in front of Judge Bernard G Skomal the following day, who determined that the accused must stay in prison because of the risk of him fleeing, as he already faces 200 Federal charges. According to documents from the Public Registry of Property and Commerce, Vincente Contreras Amezquita, started a Society with his wife Elizabeth Fregoso Zamora to take over the business Vekke Corporation, on the 18th of May 2004. The company was dedicated to the purchase, sale, importation, exportation, fabrication, installation, commission, distribution, development, repairs and rental in all classes of parts for aircraft. In this manner he could, import, export and transport all classes of products, goods and services, national or foreign. The business started with a capital investment of 50,000 pesos, 50% of the company in the name of Contreras Amezquita and 50% in his wife's name. The company still shows up in web searches for businesses dedicated to the industry of aeronautics, the same in phone books, with two properties listed in Tijuana, one in the Juarez Colonia and one in the Madero Colonia, ZETA tried to contact the two offices but with no luck. 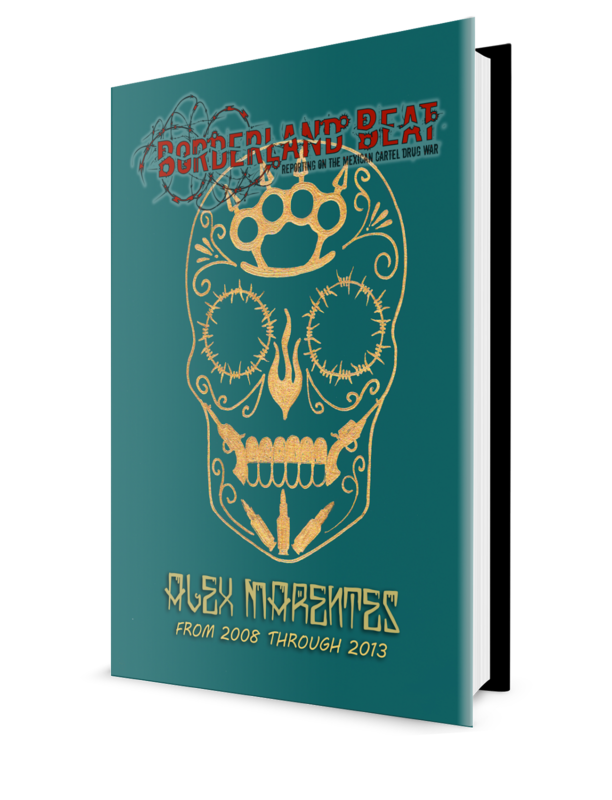 Aeroparts Baja, the second business of the accused, is dedicated primarily to the purchase and sale of aircraft and aircraft parts, with an office in San Ysidro, California, registered with the Federal Administration in the United States, for transactions of aircraft. In judicial documents, some companies were utilized by the Mexican to money launder and buy aircraft for Mexican Cartels. The structure for money laundering network contains the wife of Contreras Amezquita, Elizabeth Fregoso and her two cousins, Denise Absolor Infante an ex Tijuana netball player, and Nancy Absolor Infante, resident of Chula Vista, California. Between 2007 and 2012, the group shaped the business, and the importer and the 3 women, opened 46 bank accounts with different names in more than 5 banking institutions and made 527 deposits of money, amounting to 3.6 million dollars, money proved to be from narco traffickers, according to the investigations of the Attorney Generals Office. Immediately after receiving the money for the acquisition, purchase of the aircraft as part of the concealment process, Vincente Contreras instructed his wife and her cousins to make deposits of under 10,000 dollars in different accounts in the 5 banks they used, pointing to the offences recorded by Federal Prosecutor of South California. These bank deposits occurred a little time after Contreras completed the sale of each aircraft, and on the same date. In the United States, the Law requires that all financial institutions report to the Department of Treasury, and transaction of over $10,000, so the group made deposits under that amount to avoid detection by the authorities. To do this they used driving licences, passports and both Mexican and US identity cards in different names. For example, Elizabeth Fregoso utilized the name Contreras, of her husband, and also Elizabeth Zamora. In this manner, they opened bank accounts in California, Arizona, Texas, Michigan and Georgia, in banks like Wells Fargo, Chase, Bank of America, and the Commercial and Union bank of California, going to different branches of the same bank in different areas on the same day. Though the accounts were in the names of the two, they utilized different combination of their surnames to avoid the attention of authorities, the lowest deposit was $1960 and the highest $9,900. Carry out this type of laundering operation is a Federal crime in the United States. The accusations indicate that the network is led by Vincente Contreras Amezquita, also participating were Hector Hernandez, Claudio Alejandro Hernandez, Alfonso Montero Vazquez, David Salvador and Javier Leon Rodriguez. Contreras assisted other businesses to complete the purchases, as well as the import and export processes. In documents presented before the Court, details Hector Hernandez, as owner of Pacific Coast Aero, a business located at Zamperini Field, inside the Torrance Airport, facilitated the transport and entry of money to Vincente Contreras Amezquita for the acquisition and purchase of aircraft for the export and registration in Mexico. Hector Hernandez, owner and manager of the business, had a Federal warrant issued for his arrest on 30th of April 2015. Pacific Coast Aero is a business with an Internet site and domain registration, Zeta contacted his office this week in California, to find out his position on this case, but Hernandez said he preferred not to comment on the matter. Meanwhile on the Mexican side of the border, Alfonso Montero Vazquez and David Salvador Montero Vazquez, owners of Servicios Aeronauticos de Colima in Mexico, were identified as part of this network. According to documents of the Prosecutor, the Montero Vazquez brothers worked with Hector Hernandez and Claudio Alejandro Hernandez to acquire and purchase aircraft for export to Mexico, also to arrange deliveries of cash for Vincente Contreras Amezquita. For arranging transactions they spoke on cell phone or email, a lot of the time in an encrypted language or in code, to arrange dates and places of entry. Commercial centres, car parks, hangars and fast food restaurants were the locations chosen for this. The prosecutor informed that Alfonso Montero Vazquez had antecedents in a network utilized for the acquisition of aircraft for narco trafficking. He is associated with the shipment of $859,688 sent in 18 wire transfers from Mexico to the International Bank in Oklahoma, in 2007. This was for the acquisition of a Beech King Air 200 aircraft with registration N50AJ. With a chain dangling from the waist joining with handcuffs on his wrists, Vincente Contreras Amezquita stepped into the Courtroom of Judge Bernard G Skomal at 13:00 hours on Thursday July 30th in Federal Court in San Diego. With abundant black hair, bush eyebrows and the shadow of a freshly shaved moustache, the Tijuanan was represented by a public defender, who asked the Federal Judge that the detention hearing that began today, continues on August 18th. In representation of the Prosecutor for the South California district, Sherri Walker, accepted the petition. On August 24th there will be a trial hearing to establish the upcoming hearings. In the first audience, the defence also entered into the Court a financial declaration in respect of the accused, which will be kept under secrecy during the process. Contreras left the Court within five minutes of having entered, with chains on his ankles, he smiled before leaving through the custody door, followed by two prosecutors, if found guilty Vincente Contreras Amezquila could receive a sentence of 20 years in prison. On the 25th of May 2000, Vincente Contreras Amezquita was arrested with intent to cross the USA/Mexico border with $27,900. In the American Union it is against the law not to report the export or import of monies amounting to $10,000 or more. Around 07:00 am Contreras drove his 1993 Nissan Sentra to the Calexico check point, California, adjacent to Mexicali, Baja California. An official of the Agency for Frontier Protection, asked if he had more than $10,000 to declare, Contreras responded no. In the security inspection, he denied it again, but when a second officer searched the vehicle, he found a plastic bag hidden behind the car radio. The bag appeared to have paper in its interior, which contained bundles of money, other bags were hidden behind the air conditioning in the car. In total they found $27,000, for which Contreras Amezquita was arrested. After being interrogated by the Authorities, he said the money was from the sale of an aircraft and that he felt safer carrying it there than on his person. However, after being presented before a Federal court of the United States, the case was rejected and Contreras gained his freedom. After this occasion, all transactions made by Vincente Contreras were for less than $10,000 to evade detection by Authorities. El Rosario is pueblo of around 400 habitantes located 155 miles south of the city of Ensenada. The municipio is Ensenada the largest in Baja California. El Rosario is located close to the Pacific ocean and Mex 1 the transpeninsla highway divides El Rosario Arriba from El Rosario Bajo. Some people do not pay to get things done. Obviously these guys did not pay the army. Some people chance it here, do not pay to pass go, and a few get caught. No but in Ensenada County which I believe is the biggest county in Mexico.